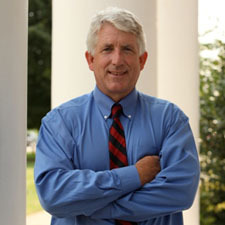 Attorney General-elect Mark Herring is proceeding with his transition in the face of a recount request by Republican opponent Mark Obenshain, announcing this week that he has formed his inaugural committee and released the names of co-chairs for the committee. “Along with my transition team, my inaugural will be focused on bringing Virginians from all backgrounds together as we work to move our Commonwealth forward. I’m honored to have the support and friendship of the co-chairs of my inaugural committee,” Herring said. Mamie E. Locke is a Democratic member of the Virginia State Senate, representing District 2 including parts of the cities of Hampton, Newport News and Portsmouth, plus part of York County. She was first elected to the chamber in 2003. Dr. Locke also serves as Dean of the School of Liberal Arts at Hampton University. Dario O. Marquez is President, Chairman, Chief Executive Officer, and co-founder of MVM. Named one of the “100 Most Influential Hispanics in America” by Hispanic Business Magazine, Mr. Marquez is a former Chairman of the Hispanic College Fund and has been an active supporter of the Hispanic Youth Foundation. Currently, Mr. Marquez serves on the Virginia Secure Commonwealth Panel and the Virginia Commission on Military and National Security Facilities. Wendy Thompson-Marquez is the President and CEO of the Onyx Media Group and EVS Communications, Inc. She is actively involved with a number of academic institutions in the Washington, DC area and is currently a board member of Latino Public Broadcasting, the Washington Performing Arts Society and the Community Foundation in DC. Ivan Jecklin serves as Co-President and General Counsel for Weinstein Properties and is responsible for acquisitions, development, capital projects and commercial properties as well as other aspects of Weinstein Properties’ operations. Mr. Jecklin is active in the Richmond community through his involvement in various non-profits and community organization including his leadership of the Jewish Community Federation’s Annual Campaign. Allison Weinstein is the Co-President and CEO of Weinstein Properties where she is responsible for their day-to-day operations. In addition to her role at Weinstein Properties, Ms. Weinstein is very active in community philanthropic endeavors including serving on the Board of Trustees at the University of Richmond.